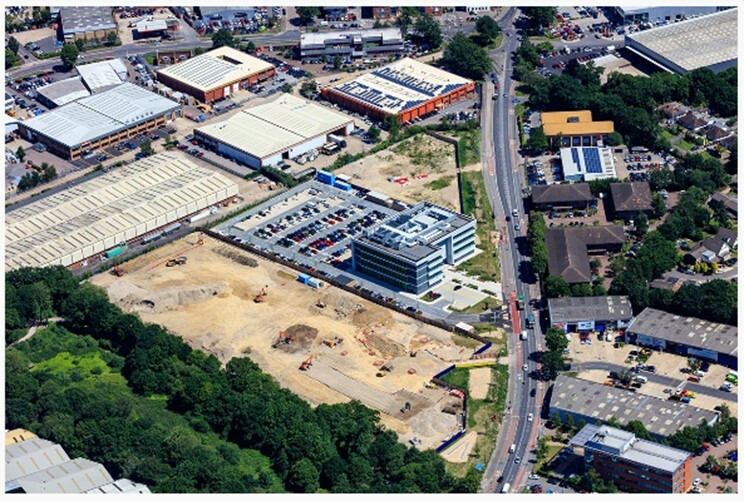 Development background: In 2014 Vail Williams advised our client on one of the largest land transactions in Crawley involving the purchase of the 10 acre Thales site on Gatwick Road, in the heart of the Manor Royal Business District in Crawley. The purchase was linked to a requirement from South East Coast Ambulance Services. 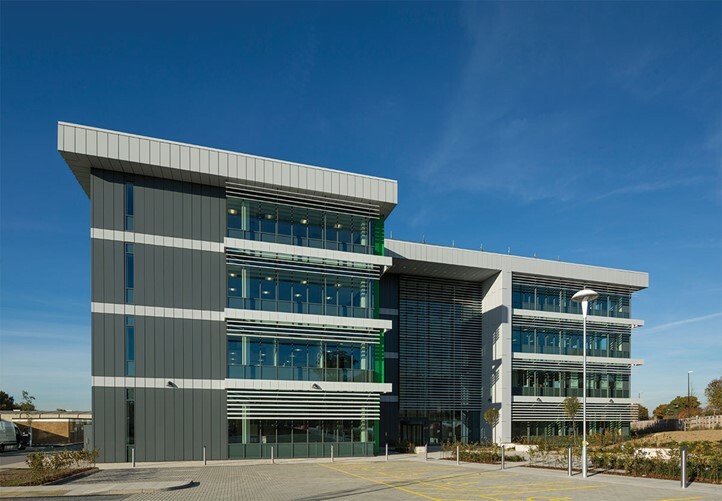 A pre-let was agreed and Nexus 4, a 58,000 sq ft landmark office, was completed in February of this year. Vail Williams Planning was appointed to secure a hybrid planning consent for the site. In total the planning consent permitted just over 231,000 sq. ft. of new floor space, 90% of which will be for B1 use. The hybrid application for 3 land parcels was the first ever received by Crawley Borough Council and presented a fresh set of challenges for Vail Williams in ensuring the smooth running of the applications. Parcels 1 and 3 achieved outline permission, whilst parcel 2, Nexus 4, received detailed permission. The team negotiated an S278 agreement regarding modifications to the highway, including securing significant savings in planning contributions. Once pre-let terms were agreed on parcel 1, a detailed permission was secured, involving a Deed of Variation to the S106. trainees from across the aviation sector. 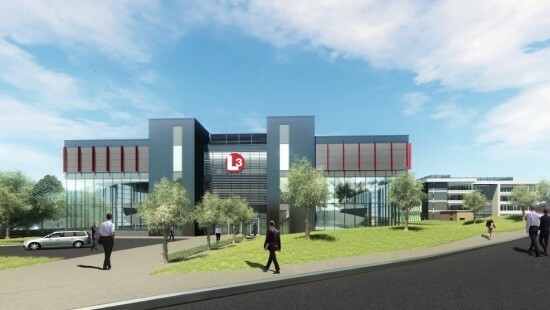 The training centre, located close to London Gatwick Airport, will feature eight RealitySeven full flight simulators, fixed-based simulators, briefing rooms and classrooms, meeting rooms, and a restaurant. The manufacturing building will build 30 simulators per year, and provide office space for more than 300 employees. Securing an acceptable hybrid and detailed planning consent with the required ‘non-policy’ parking provision. Agreeing the detailed Agreement for Lease documentation in a timely manner to enable the delivery programme to be maintained. Having acquired the site for our client in 2014, Vail Williams has been responsible for securing two pre-letting which account for 85% of the site. Vail Williams identified the L3 requirement, negotiated Heads of Terms for an Agreement for Lease and Lease, secured a detailed planning consent and undertook the transaction management through to a successful exchange of contracts. This letting to L3 is the largest pre-letting in the area since 2007. "Surrey County Council have worked collaboratively with a multi-disciplinary team at Vail Williams to deliver an important development project for the Council. We have been delighted with the dedication, enthusiasm and professional approach taken by all the Vail Williams team members and the success of the project is in no small part down to their participation”.